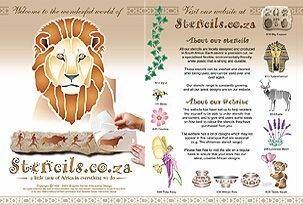 This website has been set up for our customers to gain fast access to our database of stencil designs. On this page you will find an up-to-date catalogue. We have a range of over 350 designs that we are constantly growing. Click on one of the series above, to see a full selection of the designs.